2012: 4 races 40,000 metres completed. 2011: 9 races 126,080 metres completed. 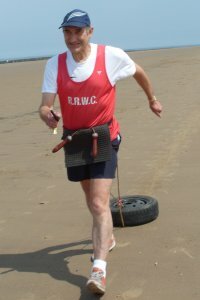 2010: 12 races 187,182 metres completed. 2009: 8 races 139,308 metres completed. 2008: 13 races 224,259 metres completed. 2007: 16 races 226,938 metres completed. 2006: 18 races 233,970 metres completed. 2005: 15 races 298,337 metres completed. 1964: 1 race 20,000 metres completed.